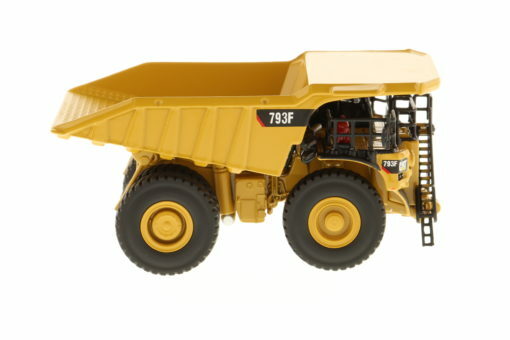 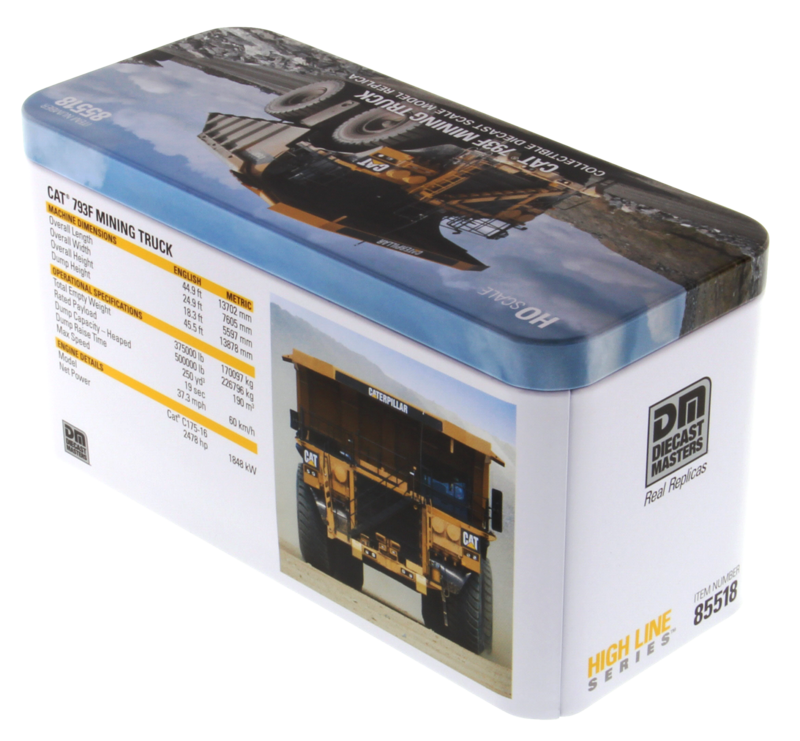 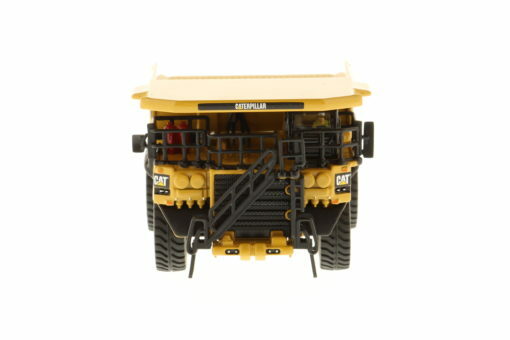 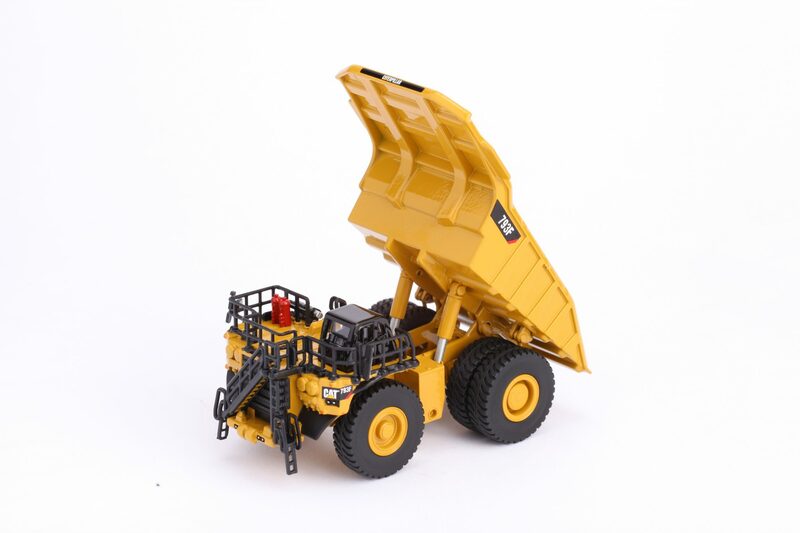 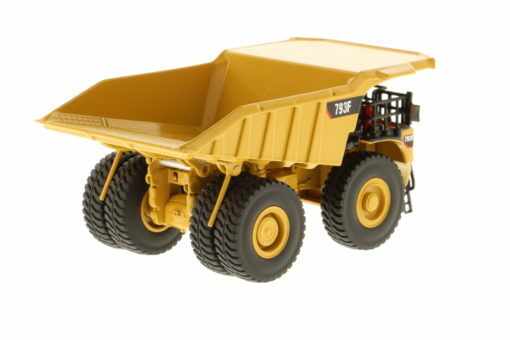 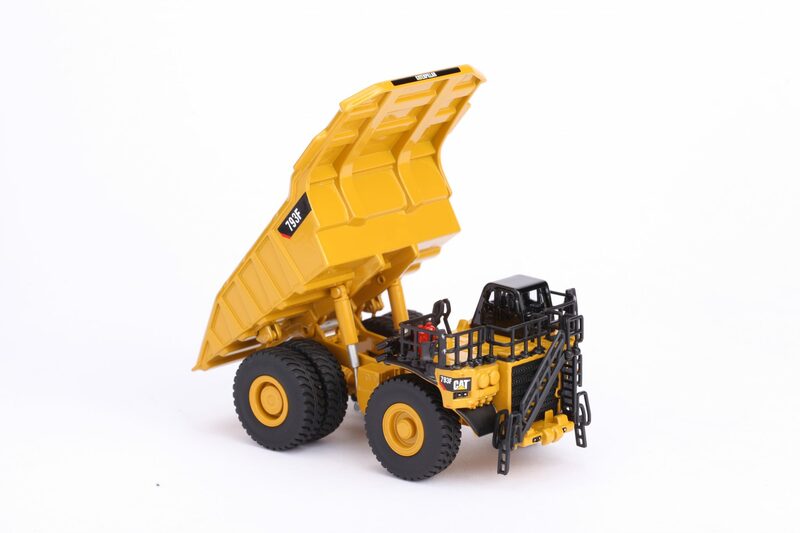 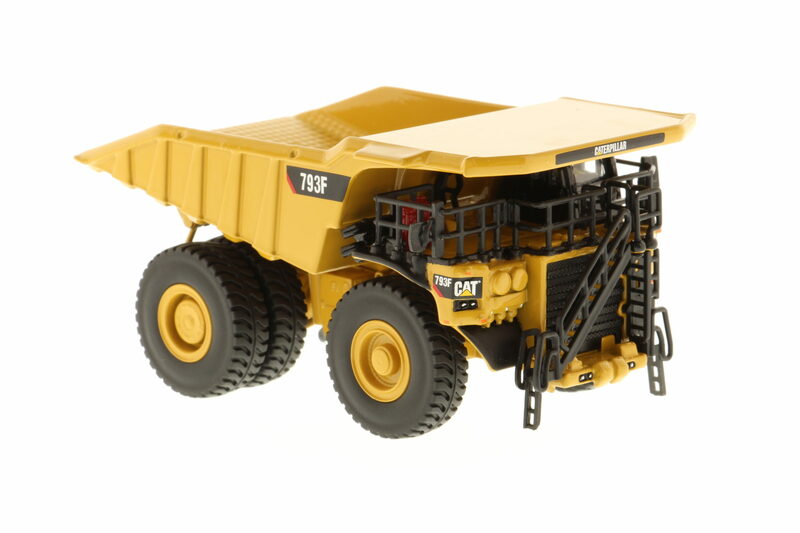 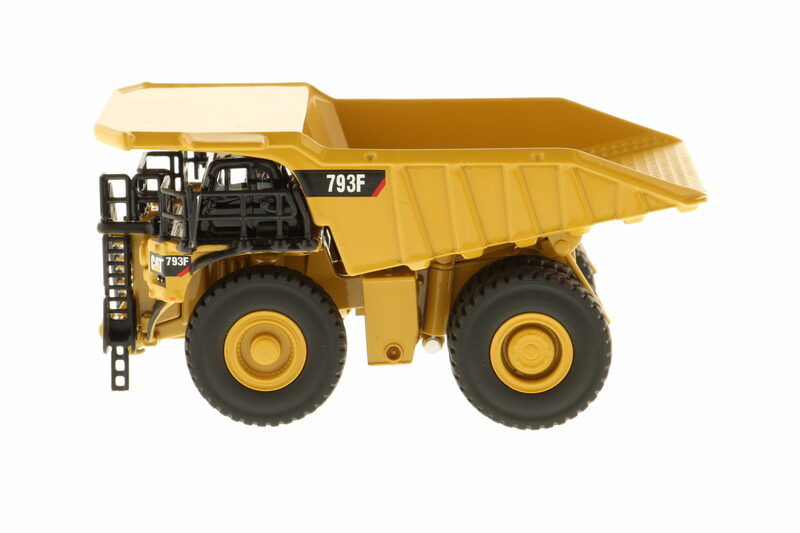 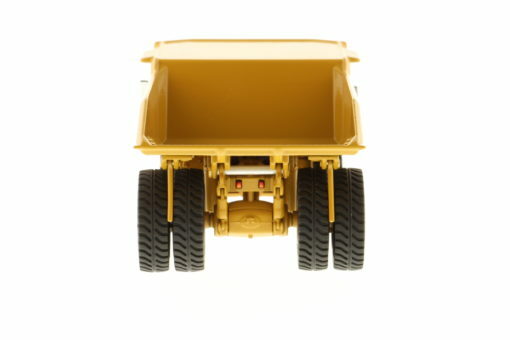 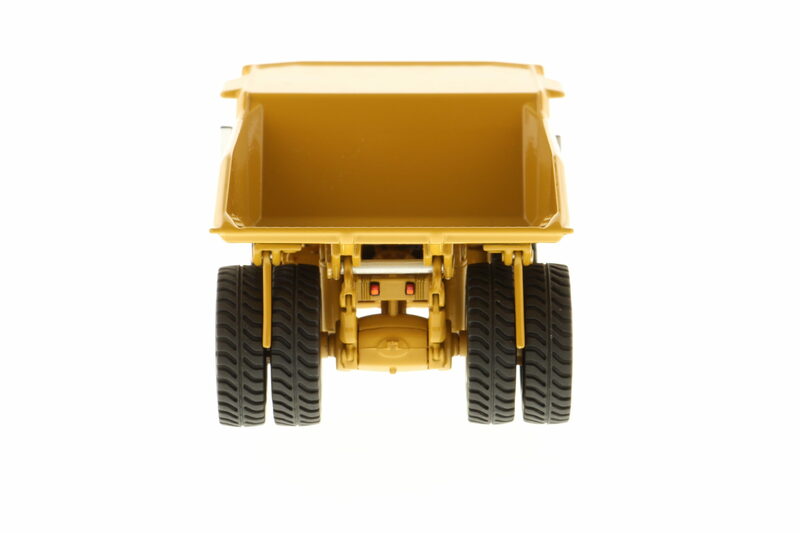 Item 85518 is a 1:125 scale replica of the very large Cat 793F Mining Truck. 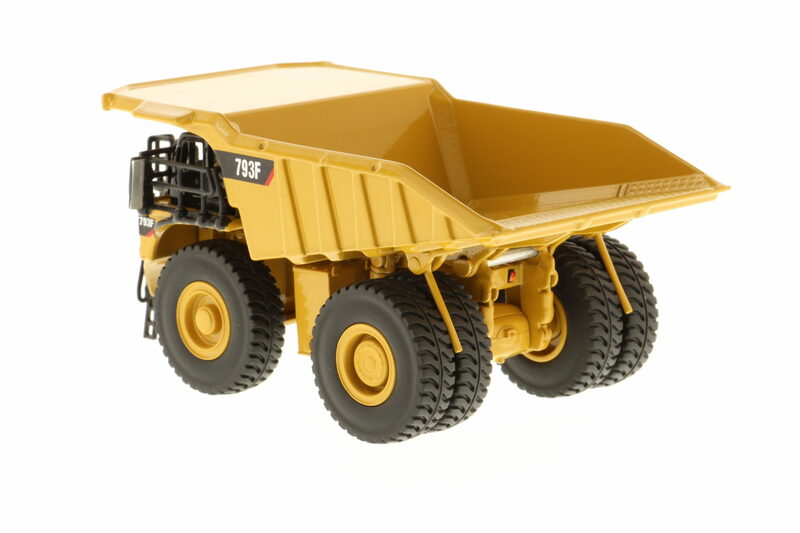 We picked 1:125 scale to achieve a model size that fits comfortably within a general HO (or 1:87 scale) scheme. 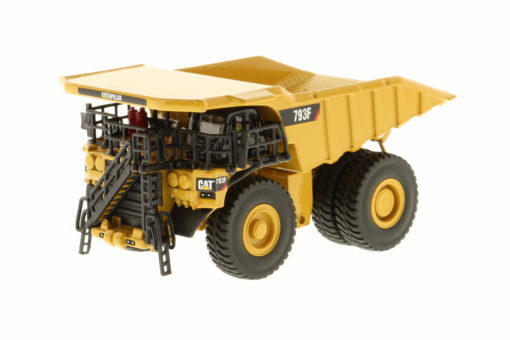 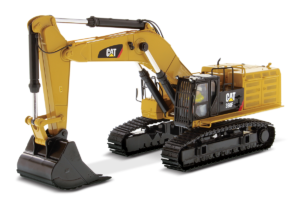 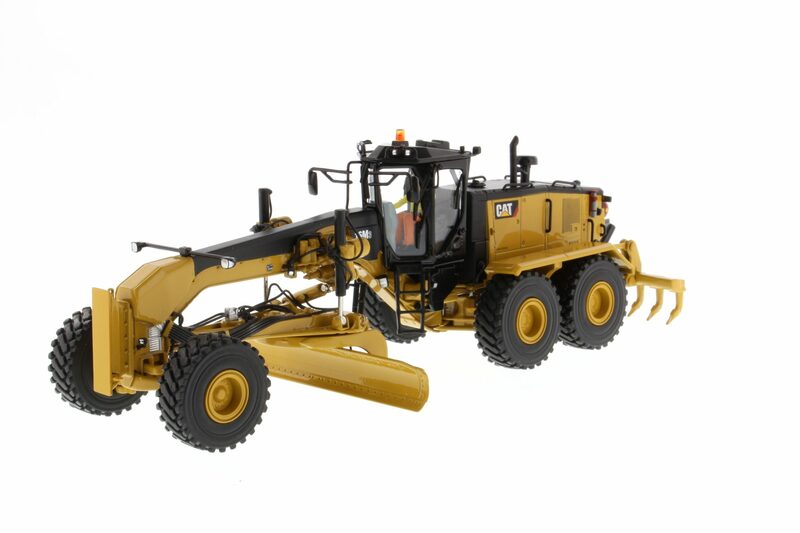 At 1:87 scale, a 793F truck model would have been larger than many of the 1:50 scale Cat machine models that Diecast Masters makes. 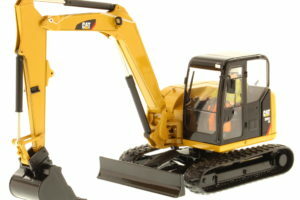 At 1:125 scale, the 793F model is 110mm long x 65mm wide x 53mm high — quite similar in size to the models within Diecast Masters’ 1:87 scale line. Item 55518 is packaged in a full-color-printed metal box, adding to its collectibility. 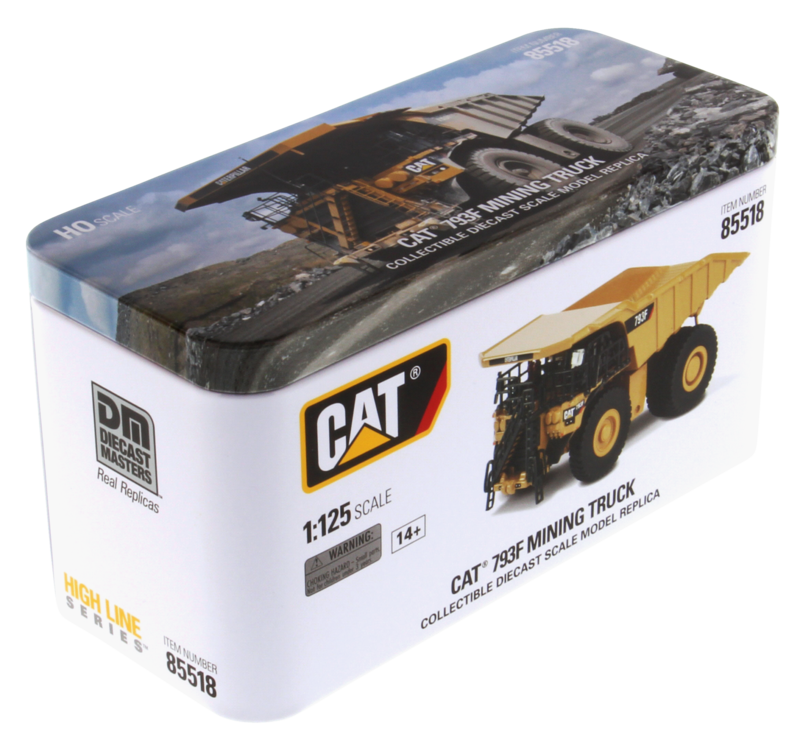 In addition to its desirability for collectors and model railroad enthusiasts, this model will make a great gift shop item.